Despite claims to the contrary, the Palestinian-Arabs, territory and the fate of the Jewish 'settlements' will permeate the elections agenda, lurking below and hovering above all other issues. 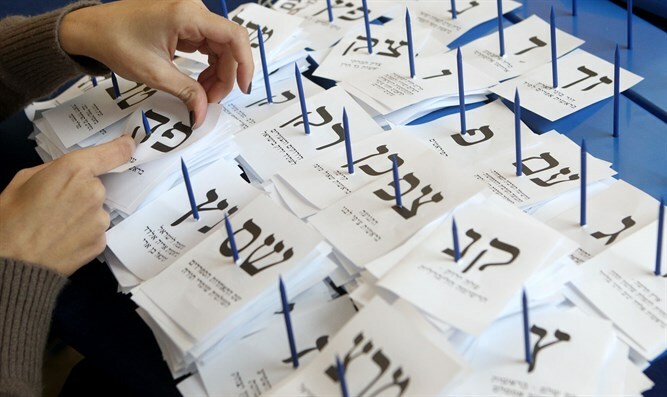 Almost inevitably, elections in Israel revolve—one way or another—around one issue…even when everyone insists they don’t. This is the “Palestinian problem” and its unavoidable derivative, the fate of the Jewish communities across the Green Line. 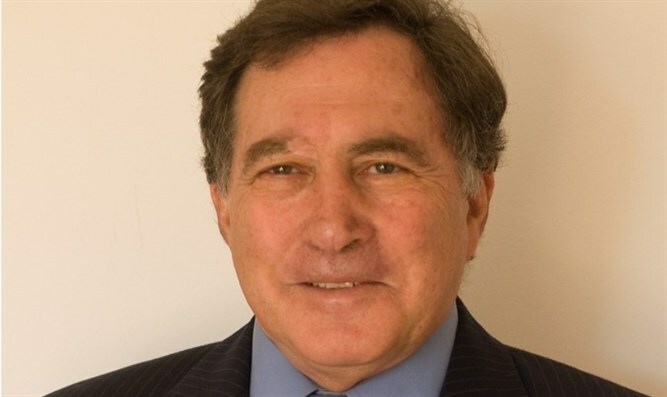 However, despite this apparent marginalization of the Palestinian issue, in broad brush strokes, the parties left in opposition—arguably, with the perverse exception of Liberman’s Yisrael Beyteinu—all embraced, as matter of political preference, the idea of territorial withdrawal and Palestinian statehood. By contrast, all the parties, who comprised the coalition, were parties with a political aversion to territorial withdrawal and the prospect of a Palestinian state, being ready to express grudging acceptance of the idea only with great reluctance—and subject to unrealistic and unattainable provisos. Indeed, even Benjamin Netanyahu’s controversial statement about the “Arabs heading in drove for the polling stations” had clear connotations as to their collective sentiments of affiliation with their kinfolk across the 1967 “Green Line” and identification with their political aspirations for statehood. Moreover, even the dissolution of the previous coalition, that precipitated the 2015 election, took place over a dispute between Netanyahu and two proponents of “two-states” in his government, Tzipi Livni and Yair Lapid. Although several other reasons were cited for the breakup, they were all in the final analysis, an upshot of inherent differences over the underlying bone of contention, the Palestinian issue—and the eagerness of Livni and Lapid to push for “separation” from the Palestinians—i.e. to concede territory for a self-governing Palestinian entity. Thus, “Time” cited one source of Netanyahu’s ire at Linvi as being due to her meeting with Palestinian Authority chairman, Mahmoud Abbas, despite his explicit instructions not to. Moreover, although Lapid has made perceptible efforts to downplay the Left-wing image that he cultivated before entering politics, when he even endorsed the division of Jerusalem, predicting that “the Palestinian flag will fly on public buildings in East Jerusalem”, he was still stridently at odds with Netanyahu on the Palestinian issue. Thus, as Finance Minister in Netanyahu’s government, Lapid asserted that Israel should make every effort to bring about two states for two peoples, warning that if a Palestinian state was not established, this would spell “the end of Zionism.” He reiterated this position several months after the election, in an interview with Jeffrey Goldberg in The Atlantic, in which he urged: “What we need to do is separate from the Palestinians ”-- i.e. withdraw from territory and hand over its control to the Palestinian-Arabs. Summing up the mounting tension within the coalition between Netanyahu and his recalcitrant pro-withdrawal adversaries, “Time” quoted one expert on Israeli politics as remarking: “Netanyahu didn’t want this government in the first place, and he prefers what he calls, his ‘natural allies’”–-i.e. those not bent on “separation”, a.k.a. “withdrawal”. A similar situation might well be emerging in the run up to the 2019 April election, in which the Palestinian issue is widely considered, at best, marginal to the competing factions. Reflecting this view, the Jerusalem Post wrote in a recent piece headlined, “Does Peace With The Palestinians Matter This Israeli Election?”: The Palestinians, peace talks, and settlements seem to be almost entirely irrelevant to this election season”. However, this may prove to be as deceptive as it was in the past. For indeed, as in past, the real divide between the rivalrous political alignments in the parliament is still likely to be shaped by the differing attitudes of the various factions to the Palestinian-Arabs, the territories in Judea-Samaria, and the fate of the Jewish settlements there, rather than by differences on any other issues such as education, transport or health services. Moreover, even if the term “peace” has become somewhat discredited, its erstwhile devotees, who once insisted that withdrawal from territory and transferal of its control to a Palestinian-Arab regime would usher in the yearned-for “peace”, today –despite disproven hopes—they persist in prescribing the very same measures as before!! However this time, no longer for the sake of unfashionable “peace,” but for the sake of a new false deity, “separation”. In this regard, careful attention should be paid to things being said—or rather blurted out—by the new rising star on the April electoral horizon, former IDF Chief of Staff, Lt. Gen. (res.) Benny Gantz. Gantz is widely seen as the leading challenger to Netanyahu, and to the incumbent alignment comprising his “natural allies”—and as a potential leader of an anti-Netanyahu alignment that has a tangible chance of wresting power from it. In this regard there appear, to be much room for concern regarding Gantz’s political predilections. For after soon breaking his long—and exasperating—silence, he has come out with public statements in which he used language disturbingly reminiscent of a “plan” (for want of a better word) being aggressively promoted by two copiously funded civil society organizations: the Institute for National Security Studies (INSS) and Commanders for Israel’s Security (CIS). Sadly, it is a “plan” that is borderline moronic in its underlying assumptions, hopelessly myopic in its strategic vision and callously malevolent in its attitude to tens of thousands of Israeli citizens, (indeed up to 150,000 by some estimates), resident in communities beyond the security barrier in Judea-Samaria. Adding to this sense of unease is Gantz’s long standing association with these two organizations and/or with many of their prominent members. Indeed, at the time of writing this column, Gantz was still registered as part of the INSS team and is even reported to have been involved in the formulation of its currently proposed “plan”. In broad outline, the “plan” is based on the idea of unilateral Israeli “initiatives” (read “concessions”) to keep the increasingly discredited two-state formula on life support, including renouncing Israeli claims to sovereignty over any territory beyond the security barrier, freezing all construction in, and funding of, Jewish communities in that territory, but, allegedly to avoid the errors of the 2005 disengagement from Gaza, keep the IDF deployed there. In a recent interview on the widely viewed Hebrew site, Ynet, Gantz made remarks that eerily echoed the “rationale” of the INSS-CIS “plan” and which were widely interpreted as being favorable to the 2005 Gaza disengagement—and as endorsing the implementation of additional unilateral measures, involving withdrawal and evacuation of Jewish communities. Although it is difficult to misconstrue these words, Gantz did try to walk them back later –but to little avail. Indeed, a later clarification, after the interview, from his party that “under a Gantz government there not will be any unilateral measures regarding evacuation of settlements” is hardly reassuring. After all, while the INSS-CIS plan does not call for the unilateral evacuation of settlements, it does recommend stifling and strangling them, until they wither away and are abandoned. But if Gantz’s benign perspective of past debacles is troubling enough, his apparent endorsement of a future fiascos is even more so—and casts a heavy shadow over his judgment. After all, the “plan” advanced by INSS-CIS is an almost certain formula for disaster. None of this is difficult for foresee. Clearly, by advocating renunciation of claims to sovereignty over all of Judea-Samaria beyond the security barrier, on the one hand; with the continued deployment of the IDF in that territory, on the other, the INSS-CIS “plan” is in effect, calling for replicating precisely the conditions that prevailed in South Lebanon until the hasty unilateral IDF retreat in 2000. The “plan” envisions this IDF deployment continuing until some acceptable arrangement with the Palestinian-Arabs can be reached. But what if no such agreement materializes? Obviously then, this formula for deploying the IDF for an indeterminate period, in territory over which Israel lays no sovereign claim—and hence, by implication, acknowledges that others have such claims—creates an unsustainable political configuration. Indeed, all the Palestinian-Arabs need to do to ensnare the IDF in an open-ended “occupation” is… well, nothing. All they need to do is wait for the IDF to become caught up in what will inevitably become an ongoing guerrilla campaign -- an easy target for attacks by a hostile population, backed by armed Palestinian security services (which neither INSS nor CIS recommends dismantling). Soon, a combination of mounting domestic and international pressure will build up for the IDF to withdraw—similar to that which precipitated the IDF pullout from South Lebanon. On the domestic front, recurring IDF casualties in a “foreign land” will result in incessant calls to “bring our boys back home”. On the international front, increasing impatience with open-ended “occupation” will create growing demands for the removal of Israeli troops. Eventually, continued IDF deployment will no longer be tenable and evacuation will become inevitable—without any adequate political settlement or sustainable security arrangements. Just like in South Lebanon. This then, is the inevitable chain of events that will result from adopting the INSS-CIS plan. Given the troubling evidence, there seems a definite chance that, if elected Prime Minister, Gantz may well embark on the course charted by INSS-CIS. Accordingly, whether raised explicitly during the campaign or not, support or opposition for it will be the latent agenda in the April election—an voters ought to be aware of what they are really voting for—or against.